As teenage sailor Jessica Watson embarks on a solo, non-stop circumnavigation, she leaves unanswered questions about a collision during a sea trial less than two months before she departed. At 1:46 a.m. Sept. 9, Watson checked the radar aboard her Sparkman & Stephens 34. It showed a ship about 6 miles away, so the 16-year-old, determining it posed no risk, set her radar&apos;s guard zone and alarm clocks, then retired to the cabin for a nap. Four and half minutes later, she collided with a 63,800-metric-ton bulk carrier. 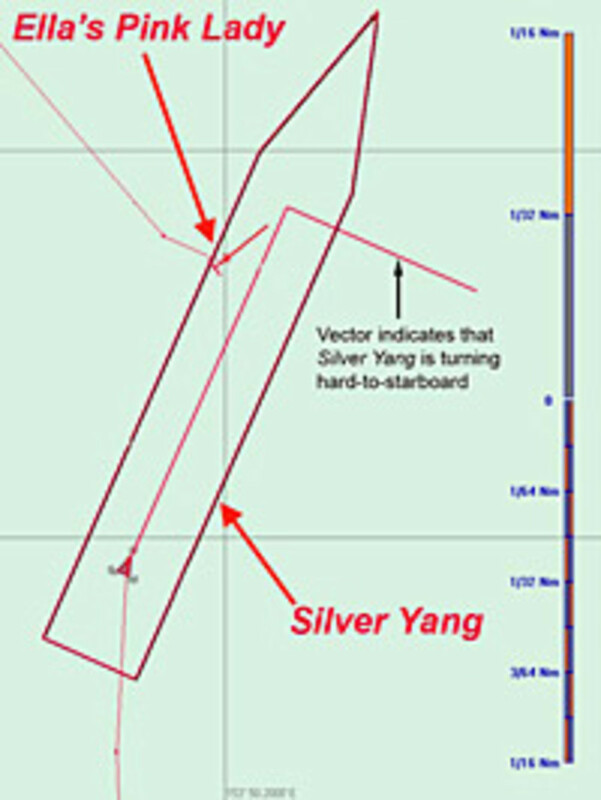 on the collision with the Chinese-flagged Silver Yang about 15 miles east of Queensland&apos;s Point Lookout. The report was released Oct. 20 - two days after Watson departed Sydney for her record attempt. An earlier report prompted Australian authorities to publicly ask Watson not to embark on the circumnavigation. In late September, Australia&apos;s Maritime Safety Queensland concluded that Watson kept "irregular latitude and longitude entries," did not have course plots, and did not have a fatigue-management plan. After reviewing the report, acting Queensland Premier Paul Lucas made a personal plea to the Watson family that the 16-year-old give up her attempt, according to published reports. Lucas cited concerns that Watson was not prepared for an undertaking of this magnitude. Watson, who turned 16 in May, is sailing the S&S 34, Ella&apos;s Pink Lady, on a non-stop Southern Hemisphere route around the world. She departed Sydney Oct. 18 and, after passing Fiji and Samoa, will head north to cross the equator. She plans to round South America&apos;s Cape Horn and South Africa&apos;s Cape of Good Hope, then continue to Sydney. To qualify for the record, she must depart and arrive in the same port, cross all lines of longitude, and cross the equator into the Northern Hemisphere at least once, according to information on her Web site. A month and a half before departing, however, Watson collided with the Silver Yang during a passage from Mooloolaba, Queensland, to Sydney, New South Wales - about 500 nautical miles. 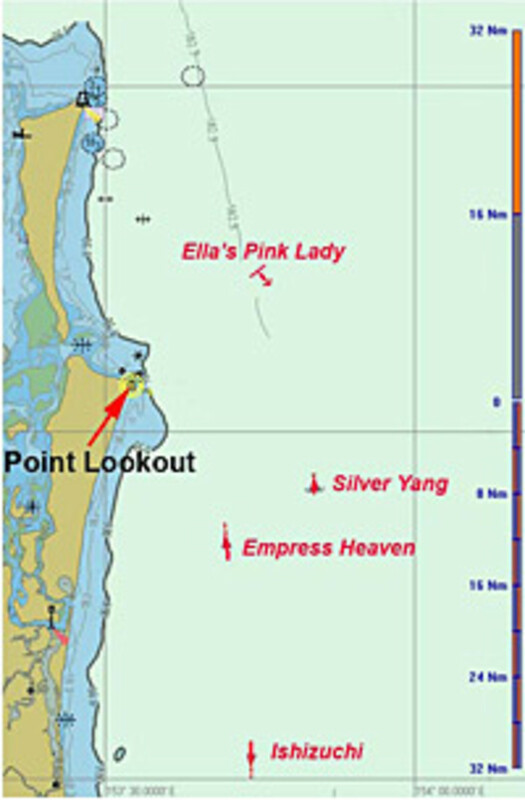 The weather and visibility that night were reportedly good, and Ella&apos;s Pink Lady was traveling about 7 knots, according to the Australian Transport Safety Bureau&apos;s preliminary report. During an instrument check at 1:46 a.m., Watson detected what authorities now believe was the Empress Heaven about 6 miles off her starboard quarter. "She could not see it visually, but she monitored its progress on the radar for about 1 minute. Once she had determined that it did not present a collision risk, she set the guard rings, set her alarm clocks and then went to bed again," according to the report. She did not see the Silver Yang about a mile south-southeast of her position. At 1:50 a.m. the bow of Ella&apos;s Pink Lady struck the ship on the port side amidships, and Watson climbed out of the cabin. "She looked upwards and thought that [it] was likely that the yacht&apos;s rigging would become entangled with the ship and dismast her vessel, so she returned to the cabin," according to the report. "A few seconds later, the mast came crashing down." 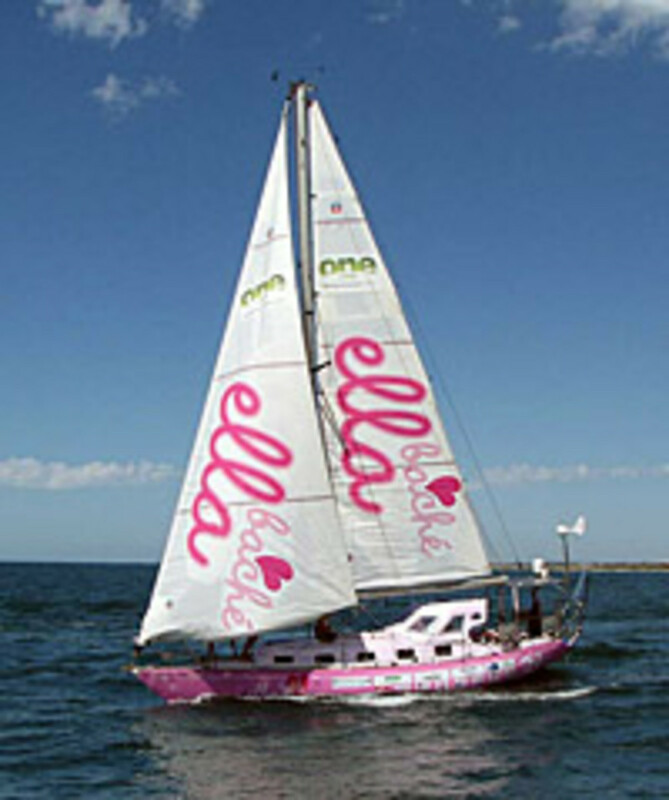 Ella&apos;s Pink Lady suffered damage to the hull, deck, rigging, lifelines and bow. NEXT: So why didn&apos;t a 740-foot ship didn&apos;t show up on Watson&apos;s radar? So why didn&apos;t a 740-foot ship didn&apos;t show up on Watson&apos;s radar? "When she fit the guard rings - which are rings that you set on the radar, an alarm when a vessel passes or a target passes through the guard rings - the ship was actually inside the guard rings when she set them," says Peter Foley, ATSB director of surface safety inquiries, speaking at an Oct. 20 press conference. "So the radar, or that function of the radar, wasn&apos;t working for her as it should have at that time." Watson typically set her guard rings at 2 and 4 miles respectively, according to the ATSB report. While the report lays out the ATSB&apos;s early findings, the agency emphasizes it does not lay blame. "We are no-fault investigators. We just find out what happened," says Martin Dolan, ATSB CEO/chief commissioner. 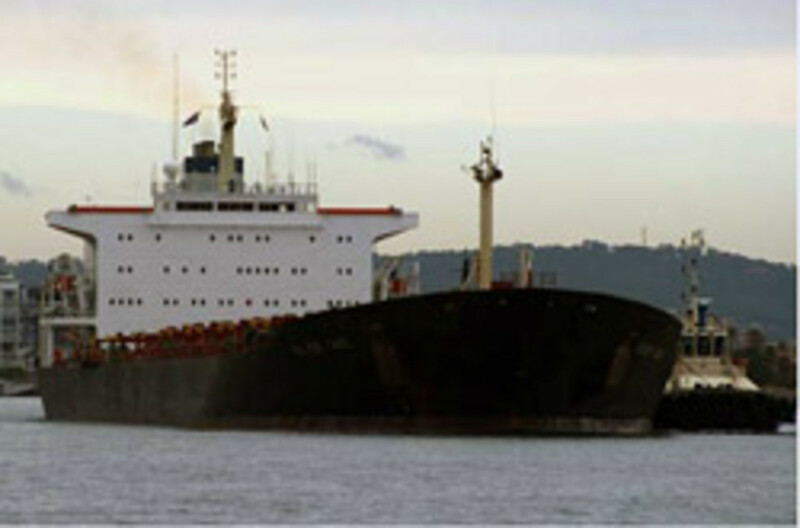 Prior to the start of the circumnavigation, however, the ATSB did advise Watson, her family and her team of its findings, including issues relating to her equipment and her use of the equipment, such as the limitations of her Automatic Identification System. 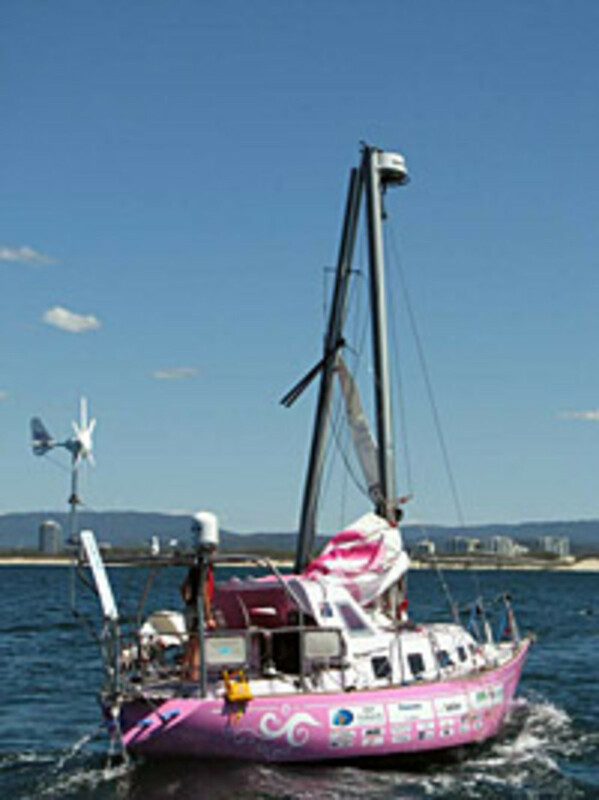 As a result, Ella&apos;s Pink Lady has been fitted with a radar reflector, and the ATSB put Watson&apos;s team in touch with sleep experts to help her with a fatigue-management plan. "Most importantly we took her down to a ship to give her the perspective of a bridge watch kept on a ship, so she can understand some of the limitations of ... operating a ship and indeed the equipment on a ship," says ATSB&apos;s Foley. "We are now confident all relevant matters have been brought to their attention," he says. "In the event that any further safety issues are identified, they will be brought to the attention of the skipper&apos;s support crew, who remain in regular contact with her." "I won&apos;t play it down," writes Watson. "It was a pretty scary and dangerous incident. The sound of Ella&apos;s Pink Lady being scraped along the hull of a 63,000-ton ship isn&apos;t something I am likely to ever forget. ... The biggest thing for me is I came through the whole thing feeling confident." "I&apos;ve got four different ship detection systems, which all sound loud alarms if there are any ships approaching. Ella&apos;s navigation lights and radar reflector also make us more visible to other ships at night. But even with all that I never just put my head down and get a full night sleep. If there&apos;s a bit going on, I&apos;ll take a 20-minute power nap, popping my head up to check on everything before going back to sleep. "All the equipment probably all seems a little over the top, but we&apos;re going to be out here for a while, and the collision taught us that there&apos;s no such thing as being too careful!" As of this morning, Watson had left the Tasman Sea and was headed for the equator. Watson faces competition for the youngest solo circumnavigator title from American sailor Abby Sunderland. Sunderland is five months younger than Watson and plans a December departure for her record attempt. Click here for more about Sunderland&apos;s attempt and a video tour of her Open 40, Wild Eyes.